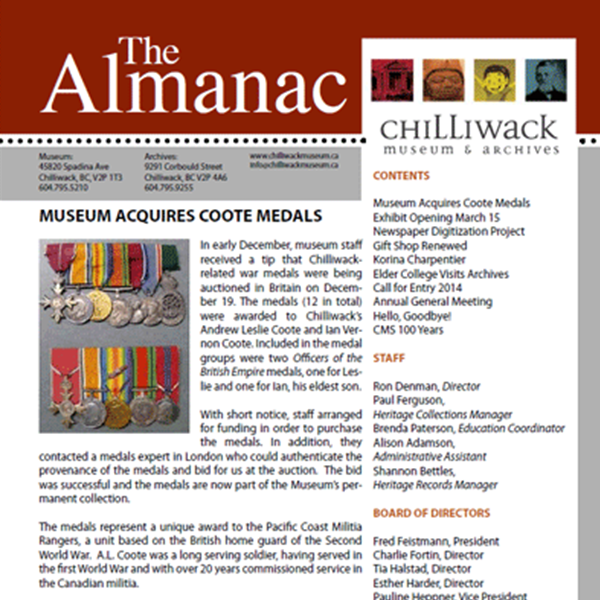 The Almanac is the newsletter of the Chilliwack Museum and Historical Society. 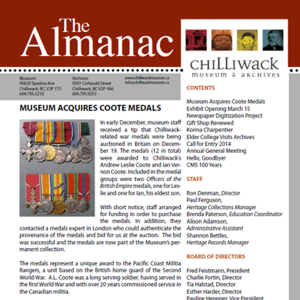 The Almanac is the newsletter of the Chilliwack Museum and Historical Society. Past issues are available for viewing at the Chilliwack Archives.